I’m ready to upgrade my iPhone, but I can’t decide which way to go. Any tips? This question was answered on September 14, 2017. Much of the information contained herein may have changed since posting. There has never been a better time to be in the market for an iPhone as the current selection includes 8 different models - the entry level iPhone SE, 6s, 6s Plus, 7, 7 Plus, 8, 8 Plus and their top line X - that range in price from $349 - $1149. If you haven’t already done so, make sure you hold each of the phones in your hand and slide it into your pocket or pocketbook to determine the best fit from a form factor standpoint. Budget minded consumers that don’t care about larger screens, can opt for the 4” SE - the size of the original - for the new reduced pricing of $349 - $449 depending upon your storage needs (32GB – 128Gb). If you want a slightly larger screen (4.7”), then your choices are between the iPhone 6s, 7 and 8. If you want a phone with the largest screen size, then your choices are between the 6s Plus, 7 Plus, 8 Plus and X.
iPhones have long been heralded for their camera technology, and unless you’re really into photography or super hi-res video, every model has a 12MP camera that can shoot 4K video at 30 frames per second (fps). If you’re a big selfie or Facetime fan, you’ll want to stick to the iPhone 6 or better as the front facing camera on the SE isn’t great. If you spend a lot of time outdoors, especially near water and you want something that can take a bit more abuse, you’ll want to go for an iPhone 7 or higher as they all have superior water and dust resistance ratings. Despite the ratings for having your phone in 1 to 1.5 meters of water for up to 30 minutes, you really shouldn’t plan on swimming with them. Exposing your expensive phone to salt and chlorine water isn’t something I’d recommend without something like a LifeProof case (http://lifeproof.com). 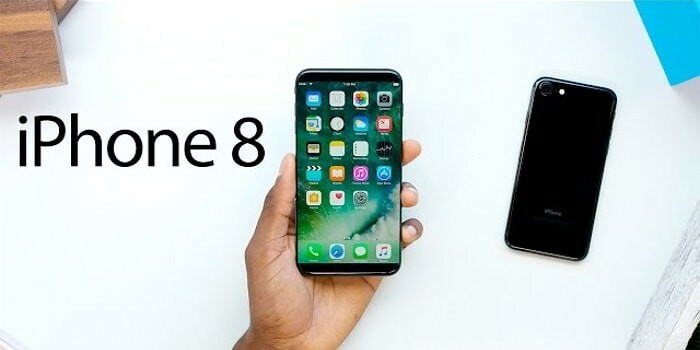 If things like wireless charging, fast-charging, 60 fps 4K Video and the most powerful processors available are important to you, then you’ll probably be able to justify buying the iPhone 8, 8 Plus or X.
Apple’s comparison site is an easy way to compare up to 3 different models at a time to help you weed through the specs: https://goo.gl/JeJJ7V. There are a plethora of options for buying new, used or refurbished iPhones, starting with Apple itself. Apple offers an annual iPhone Upgrade Program, which is best for those that have to have the latest model every year: https://goo.gl/vknWpT, look into their trade-in program for your older iPhones: https://goo.gl/W2nEQ3 or shop for deals in Apple’s refurbished inventory: https://goo.gl/M1CSFg. If your current phone is tied to a specific cellular provider, check to see what their current promotions are based on your eligibility. If you don’t mind a used iPhone, besides your cellular provider, there are a number of reputable resources that I’ve used to pay cash for a used phone including Glyde (https://glyde.com), Swappa (https://swappa.com) and Gazelle (https://gazelle.com).